every 12th punch wins a prize! huh? 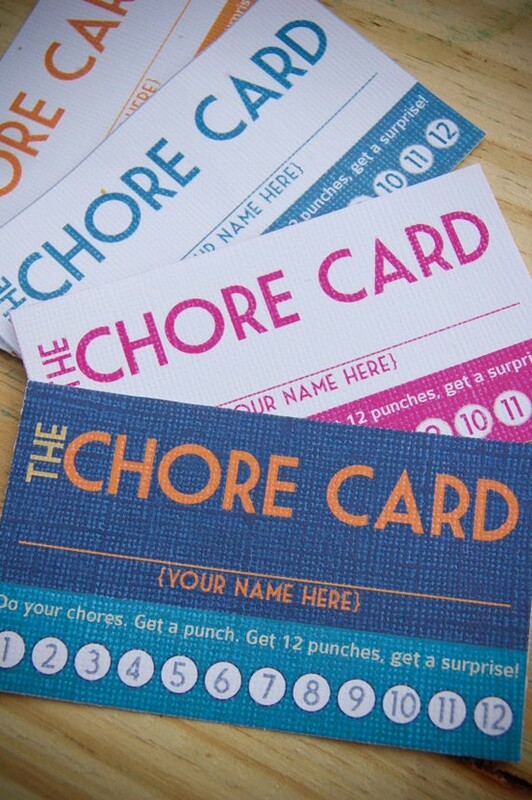 If you are a regular coffee drinker who loves getting your 10th cup free, I’m betting you will love these terribly fabulous DIY Printable Chore Cards by My Sweet Swirls on Etsy (http://www.etsy.com/shop/mysweetswirls). Do your chores, get a punch (so to speak). Get 12 punches, get a surprise (which might be a big bubble bath, a book, favourite dinner, a toy – whatever ‘currency’ works for your kid). They also have them for toddlers who stay in bed at bedtime or naptime! Now THAT’s good thinkin’ … I’ve just purchased some for my boys so stay tuned for an update. NOTE: This is not a sponsored post (none of mine are!) – just sharing fab stuff I have found. This entry was posted in stuff we just love and tagged chores, DIY, etsy, printable, reward, reward chart by rudyandthedodo. Bookmark the permalink. Yes Julia – maybe something like “for every 12 loads of your own washing you dont bring home to mum, you’ll get a prize!”. Prize could be one of the free dinners you probably already provide, so everyone’s a winner! Thanks for the blog love!! We are thrilled that you like them, and hope they are motivating your boys to get those chores done!